LendingClub was founded to transform the banking system to make credit more affordable and investing more rewarding. Today, LendingClub's online credit marketplace connects borrowers and investors to deliver more efficient and affordable access to credit. 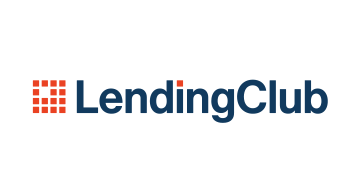 Through its technology platform, LendingClub is able to create cost efficiencies and passes those savings onto borrowers in the form of lower rates and to investors in the form of risk-adjusted returns. LendingClub is based in San Francisco, California. Currently, residents of the following states may invest in LendingClub notes: AL, AR, AZ, CA, CO, CT, DC, DE, FL, GA, HI, IA, ID, IL, IN, KS, KY, LA, MA, ME, MD, MI, MN, MO, MS, MT, ND, NE, NH, NJ, NV, NY, OK, OR, RI, SC, SD, TN, TX, UT, VA, VT, WA, WI, WV, or WY. All loans are made by federally regulated issuing bank partners. More information is available at https://www.lendingclub.com.